You can’t miss with this bright, beautiful recipe. Simplicity at its best. Totally delicious and healthy too. Enjoy! 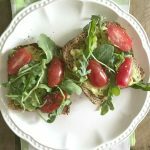 You can’t find a recipe that’s this easy and tastes fresh and delicious, not to mention a beautiful looking recipe. I love this recipe for so many reasons. The best part is the layering of fresh flavors and textures. Also, this is light and can be served for breakfast up to a healthy late night snack. Try this simple yet elegant recipe. 2 slices whole grain bread, I used sprouted bread mainly found in the refrigerated or freezer section. Or, use any whole grain bread of choice. 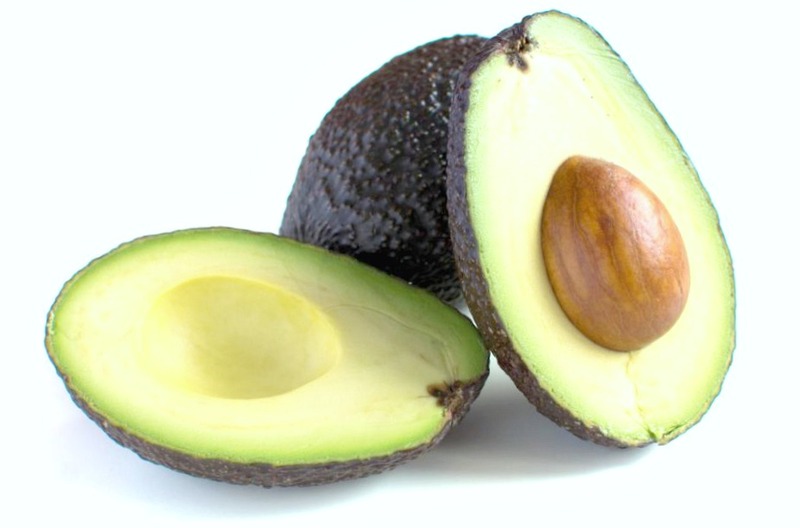 1/4 – 1/2 avocado, keep the pit inside the leftover, sprinkle some lemon or lime juice, put back together, wrap in plastic and save for later that day for another recipe. Bunch fresh arugula, washed and patted dry. Toast the bread until nicely browned on both sides. 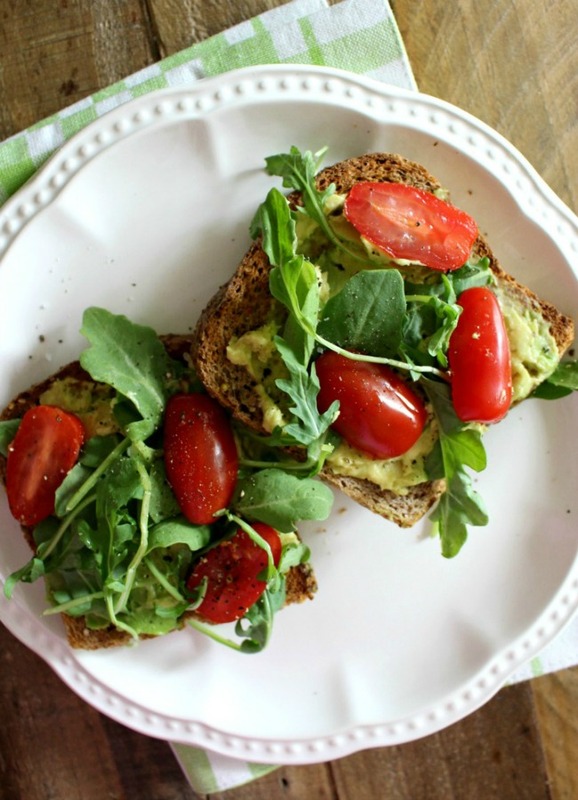 While the toast is still hot, spread the avocado over each slice. Add arugula and tomatoes. Sprinkle with salt and pepper. Simplicity at its best. Tastes bright and so delicious. Make one up soon and enjoy every bite. 1.Toast the bread until nicely browned on both sides. 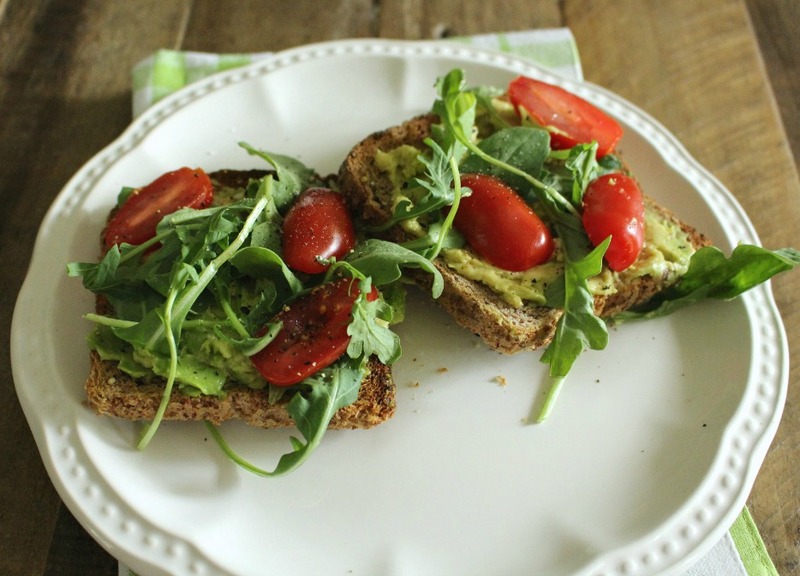 2.While the toast is still hot, spread the avocado over each slice. 3.Add arugula and tomatoes. Sprinkle with salt and pepper.